aniel Boulud is Chef-Owner of several award-winning restaurants, a top-selling cookbook author and television personality. While he hails from Lyon, France, where he was raised on his family’s farm, it is in New York City that he has truly mastered the dining scene and became one of America’s leading culinary authorities. After being named, at 15 years old, the best cooking apprentice in France, Daniel went on to train under the renowned chefs who would become his mentors: Roger Vergé, Georges Blanc and Michel Guérard. Now Boulud himself serves as a mentor to the talented young cooks he has been working with here in the United States for over twenty-five years. Chef Boulud’s New York restaurants include Daniel, a three Michelin star, Relais & Chateaux member; Café Boulud and Bar Pleiades; DB Bistro Moderne; Bar Boulud and DBGB Kitchen and Bar. Beyond Manhattan he has created Café Boulud in Palm Beach, Florida and DB Bistro Moderne in Miami. The Chef has also extended his empire internationally with Maison Boulud in Beijing, DB Bistro Moderne and Lumière in Vancouver, DB Bistro Moderne in Singapore and Bar Boulud in London. 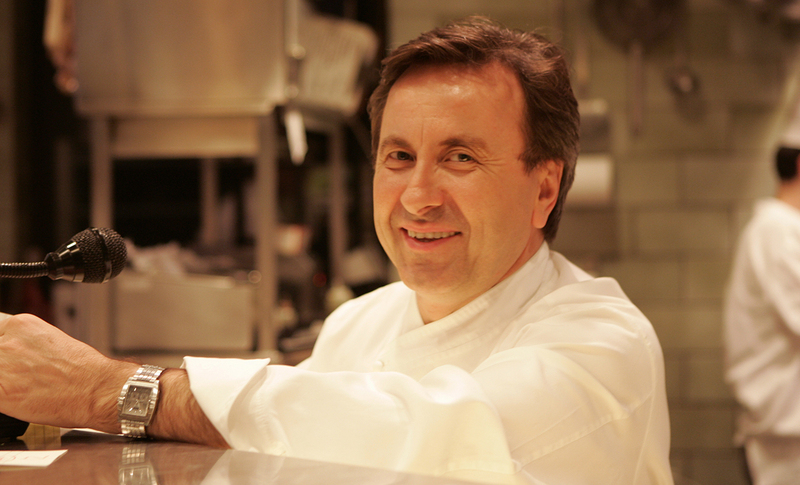 Daniel Boulud has received countless accolades, including James Beard Foundation’s Best Chef: New York City (1992), Outstanding Chef of the Year (1994), Outstanding Restaurateur (2006) and awarded Outstanding Restaurant (2010). Daniel earned the prestigious three star rating in the 2010 Michelin Guide. Only five New York City establishments share that honor. 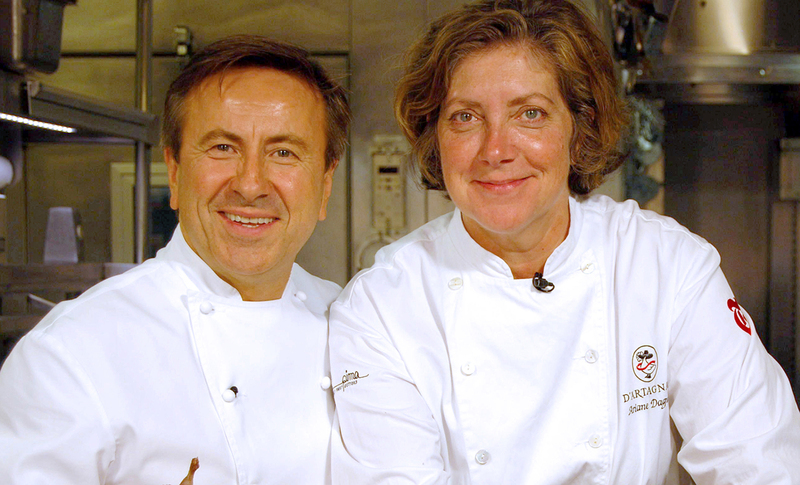 Chef Boulud works to support several charities such as City Meals-on-Wheels and The Daniel Boulud Scholarship Endowment Fund. He is also on the Board of Directors for the Bocuse d’Or USA Foundation. 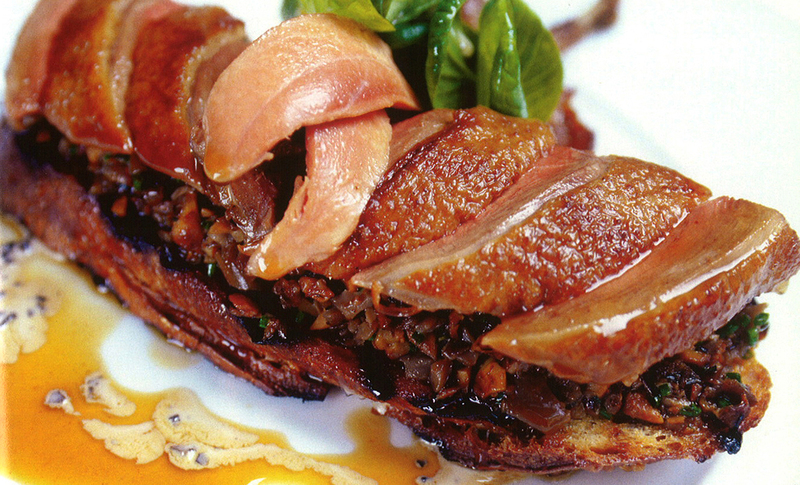 In this luxurious recipe by legendary chef Daniel Boulud, garlicky grilled sourdough bread is topped with squab, mushrooms and seared foie gras. 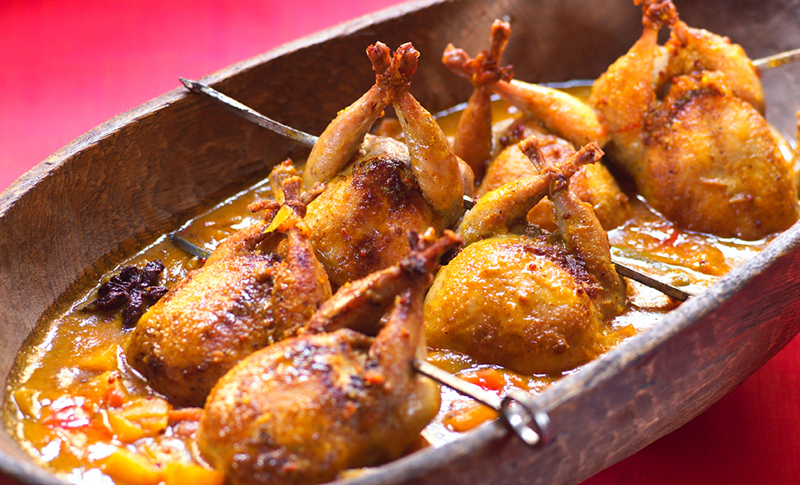 In this quail recipe, Chef Daniel Boulud pairs the plump birds with a colorful beet-and-apricot chutney fragrant with Indian spices. 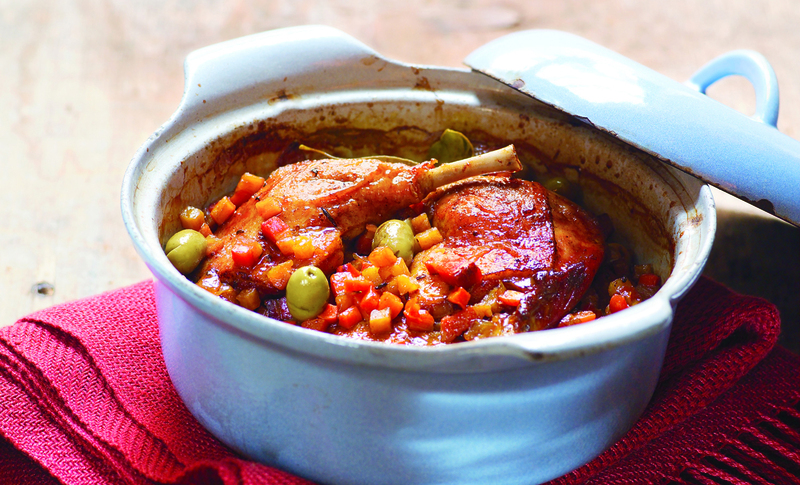 This easy braised duck recipe from Chef Daniel Boulud features French Picholine olives for juicy bites of tart, salty flavor. 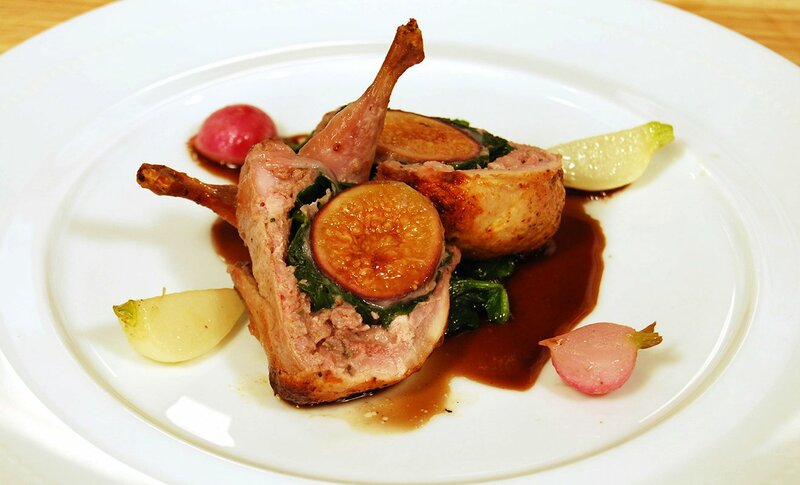 Quail is on the menu when Ariane and Chef Daniel Boulud get together in the kitchen at his eponymous three-Michelin-starred restaurant.